You Save: $11.74 (74%) Ships in 1 day. Soft Cover, 184 pages, 6.5 x 9.0. 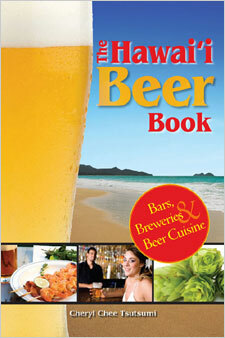 From the best brewpubs to creative beer cuisine, The Hawaii Beer Book: Bars, Breweries & Beer Cuisine is the one essential guide for beer-lovers in the Islands. With detailed listings and expert reviews, it's everything you need to find it, brew it, cook with it and, most of all, drink it!  Where to find that perfect pint!